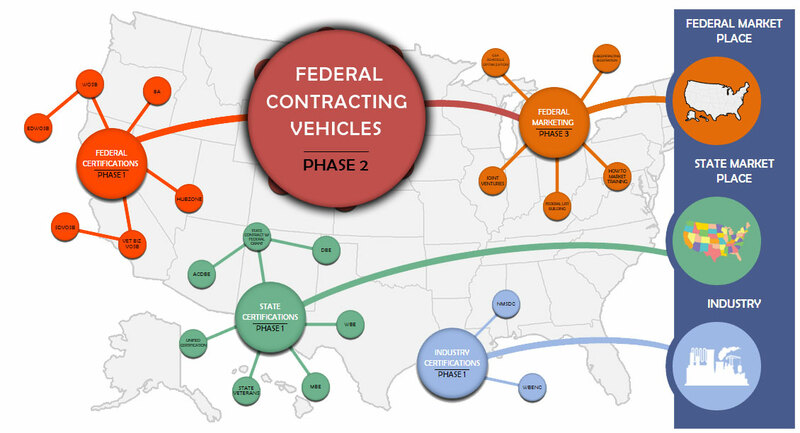 There are several reasons firms doing business with the federal government seek to possess multiple contracting vehicles. The most common reason they need different contracting vehicles is because government agencies use different vehicles to avoid having to use FBO.gov. FBO.gov is the slowest and most work intensive method for contracting officers, so they do anything they can to avoid it (in contracting officer speak, its “too noisy”). Therefore every agency has different vehicles they use to avoid FBO.gov. If your firm is not on their respective vehicle and/or does not have the vehicle that an agency is using, your firm will have a challenging time contracting with that agency. In one recent search, our firm counted over ten contracting vehicles that agencies were using for IT services. During an entirely different search, we found where one agency (the GSA) was using five different vehicles to purchase the same material for different parts of the country, as each region had a different vehicle it prefers. Below is a listing of some common vehicles for your review. IDIQs Agencies and a group of agencies can go together to form IDIQs for a variety of reasons. It could be for IT, janitorial, construction, facilities management, engineering, architectural or for other reasons. These buckets range from several million to billions of dollars. In some instances a firm could be the only one on an IDIQ with the capability of servicing a particular region of the county.